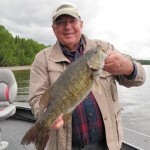 The smallmouth bass schedule was set long before this week’s weather. They were shallow and biting and most groups spent at least part of their fishing day chasing them. 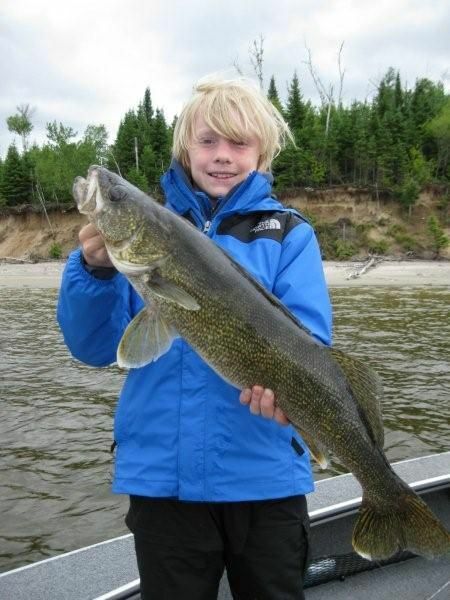 The walleyes were found in many different types of areas, but it was still another very good week for both size and volume. The weather continued to be much more seasonably cool and variable with several days of showers and shifting wind directions. We didn’t have a pattern that was consistent for more than a day, but the bass didn’t care and the guides adjusted daily to find walleyes. 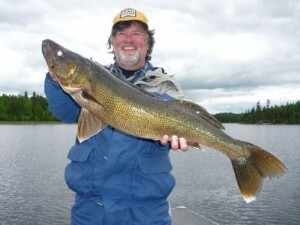 In Northwest Ontario, every summer has it’s own extreme nature, and this year it is warm and accelerated. 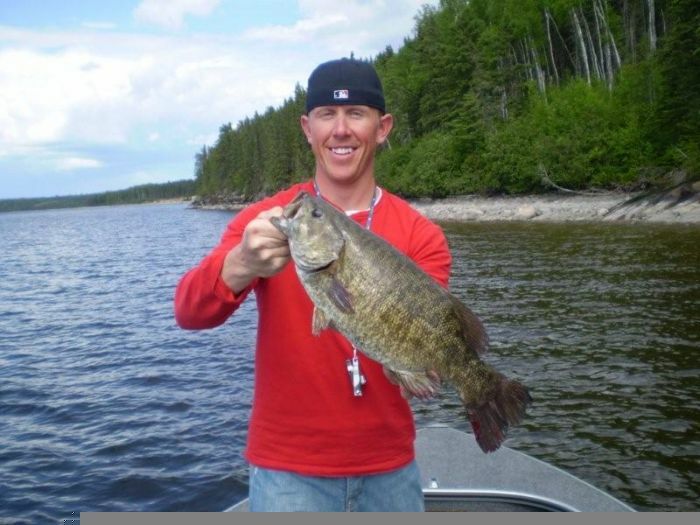 Usually, we see this type of bass bite the 3rd week of June. 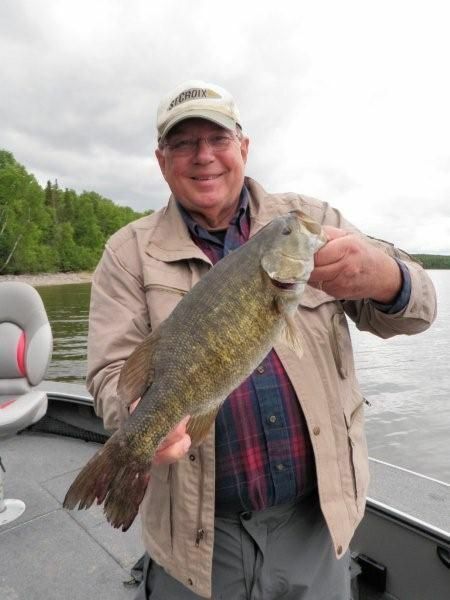 The guides were booked with groups looking for walleyes, but it was very difficult to drive by areas that they knew they could fill their sheets with bass. 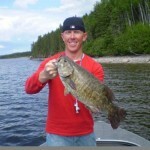 For the week, we had 176 bass over 17 in., including 57 over 18 in., and 12 over 19 in. It was a fun week to guide for bass. 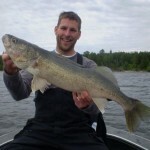 Despite the bass distraction, it was another great week for walleye fishing as well. They didn’t always play by the regular rules and they showed up in very different types of areas, but the guides were successful aggressively checking both deep and shallow – Spring, transition, and summer spots. 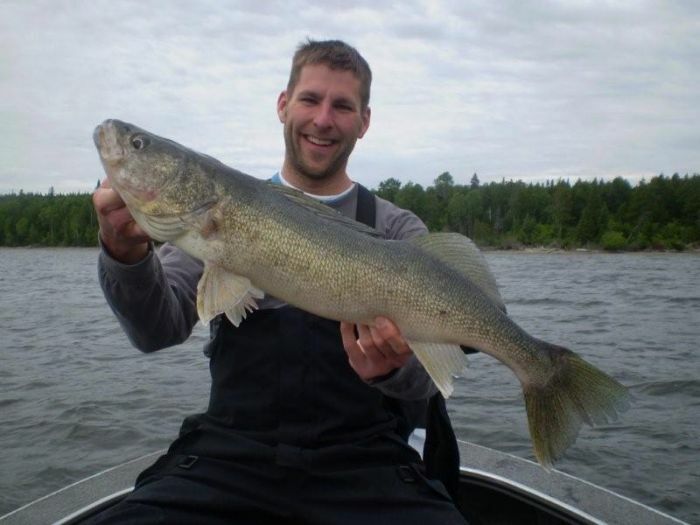 Big walleyes were caught this week in 8 ft. of water on spring spots, in 25 ft. of water on main lake summer spots, and on many transition areas in between. The advantage to being part of an experienced guide crew is that I can count on the fact that my guys are going to be checking just as many extreme spots as I am and they are going to share what they learn. By the end of the week, everyone was strategically bouncing back and forth between productive shallow/spring spots and deeper/transition summer spots. 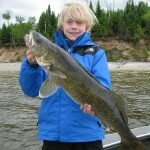 No seasonal areas held guides for an extended period of time, yet they still managed to boat 25 walleyes over 27 in., including 7 – 28s, 1 – 29, and 1 – 30. 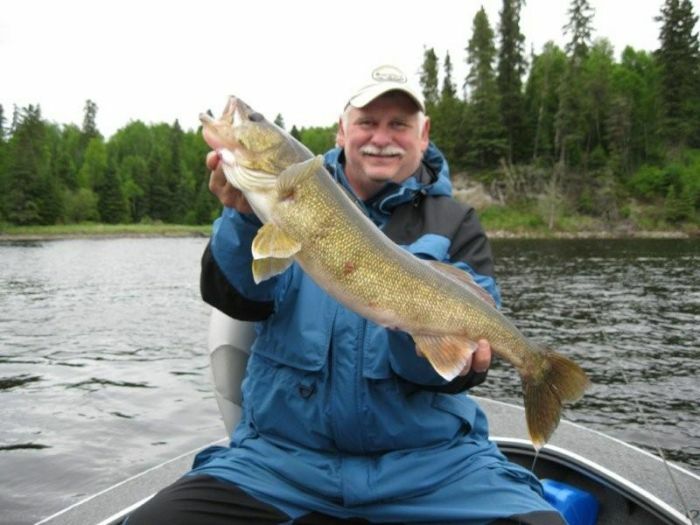 Overall volume was good with average daily guide sheets reporting 35 walleyes over 18 in., and the highest daily total was 66. 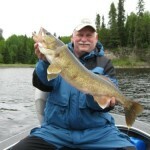 The pike were on the move and the guides know to choose not to chase them during transition. Effort was minimal and results were as expected.